See this featured on Alignyo! -	Whiz all in a food processor. Cook the barley in double the amount of water. Let cool completely before mixing with the other ingredients. Prepare the pesto. Chop your desired amount of tomatoes, the onion, parsley and kale. 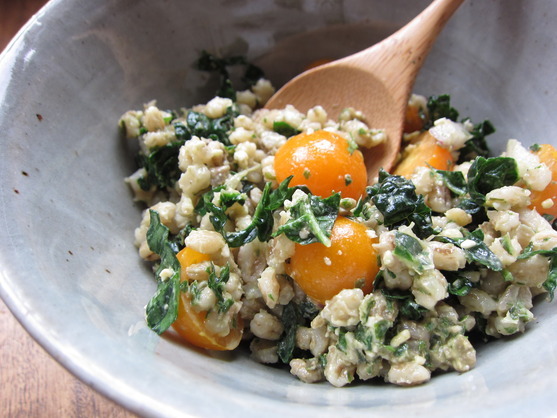 Mix with the pesto and then with the cooled cooked barley. Lastly, add the ume and extra olive oil if necessary.